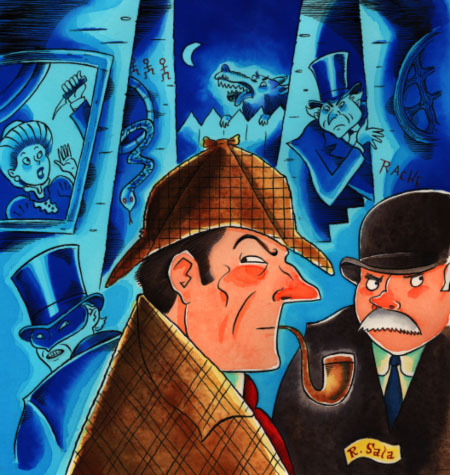 Cover for Conan Doyle issue of Graphic Classics. 12" x 13". Watercolor & ink on Arches watercolor paper.